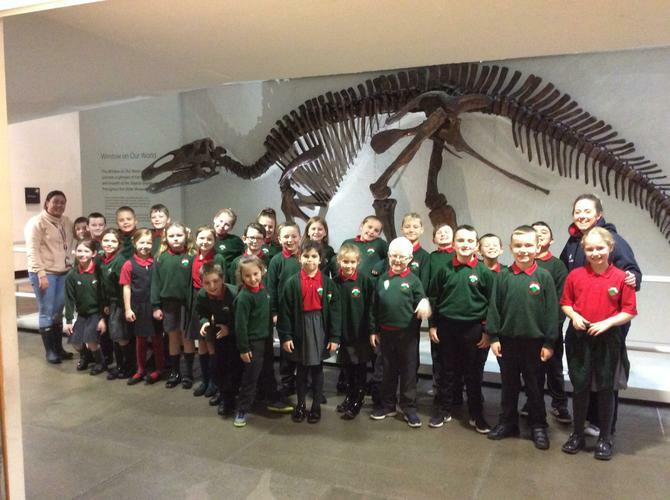 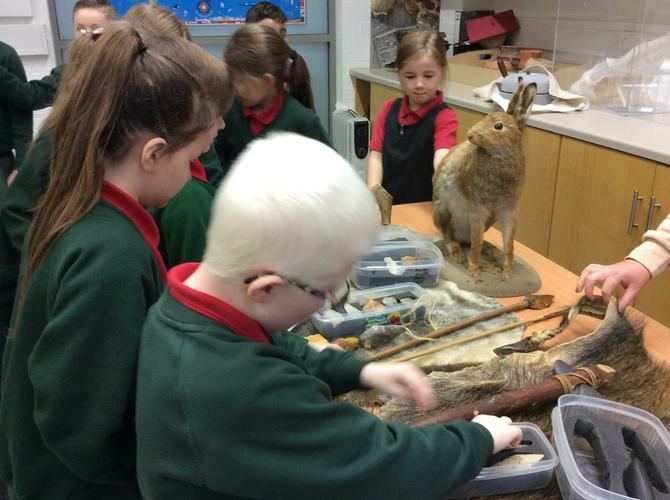 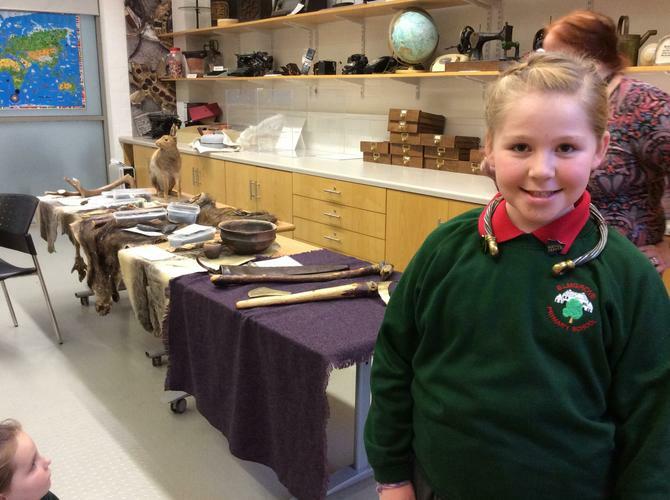 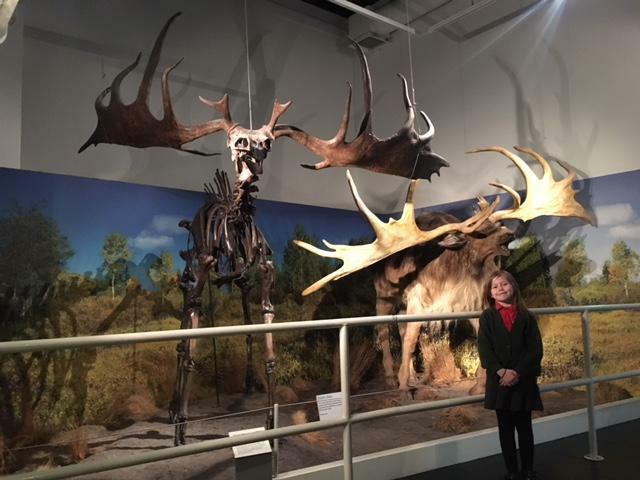 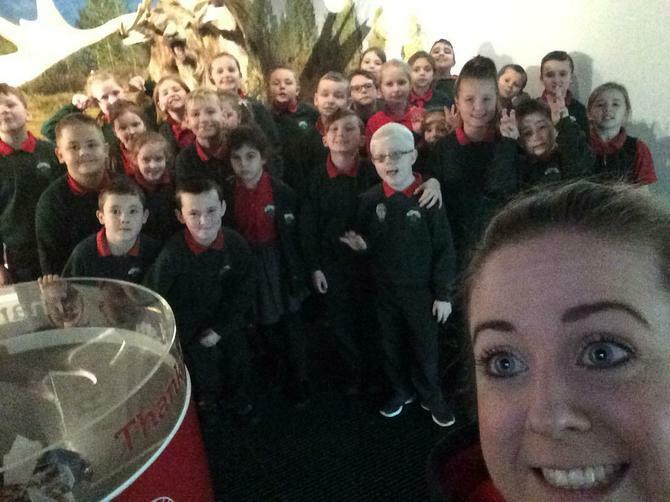 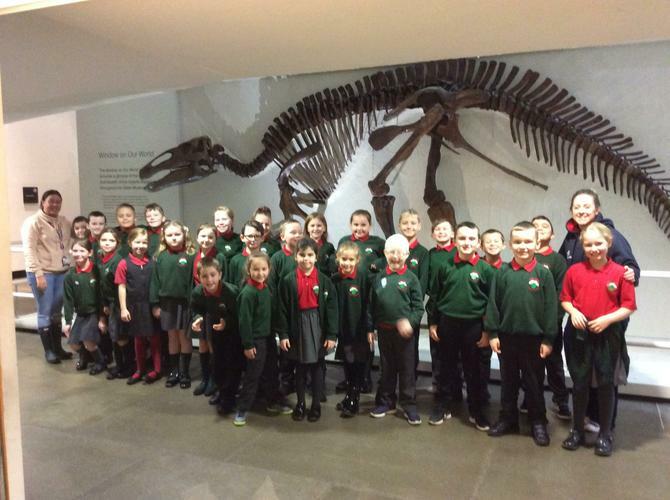 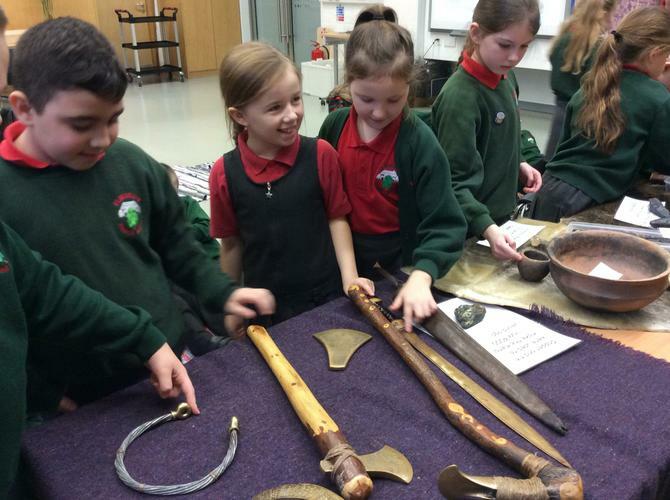 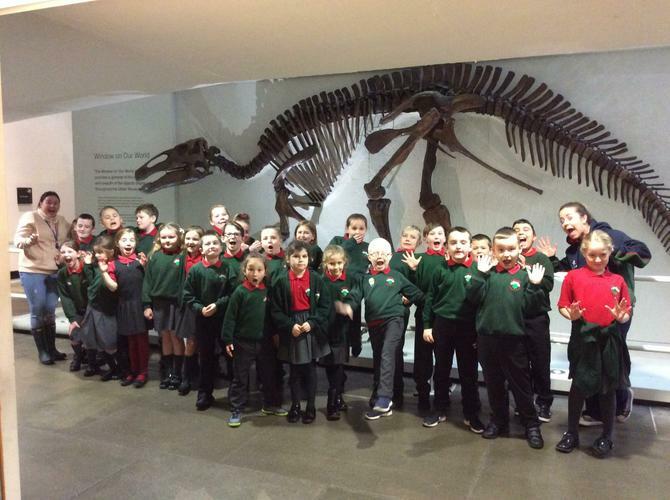 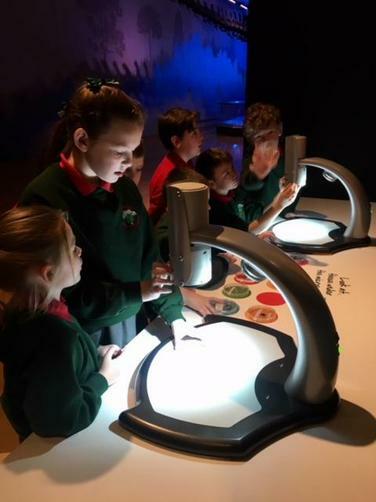 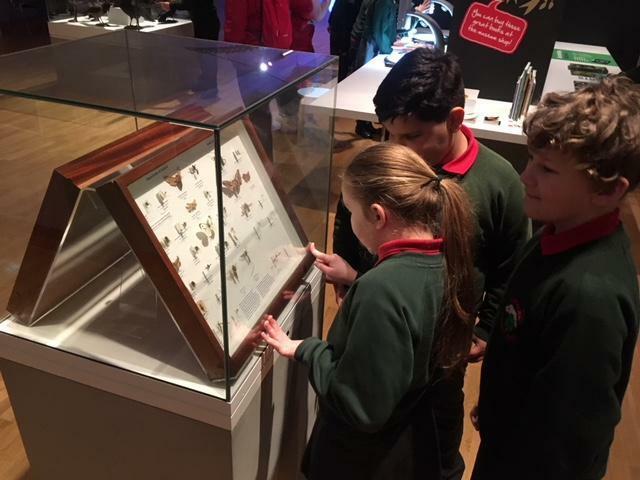 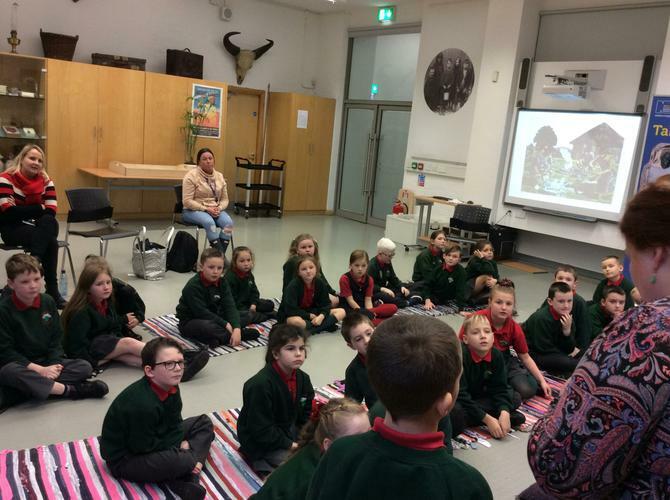 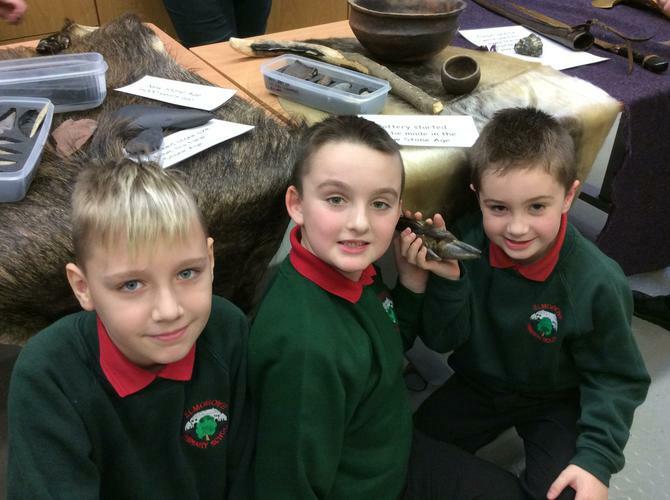 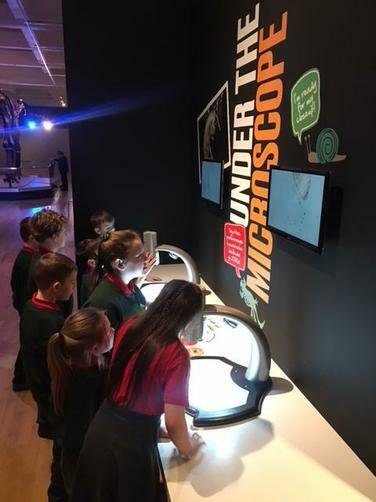 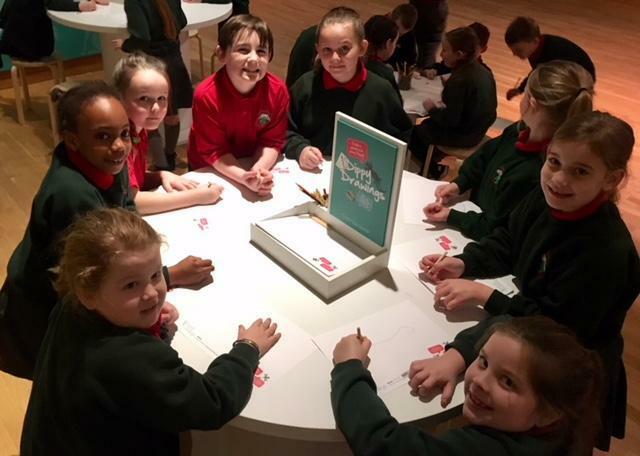 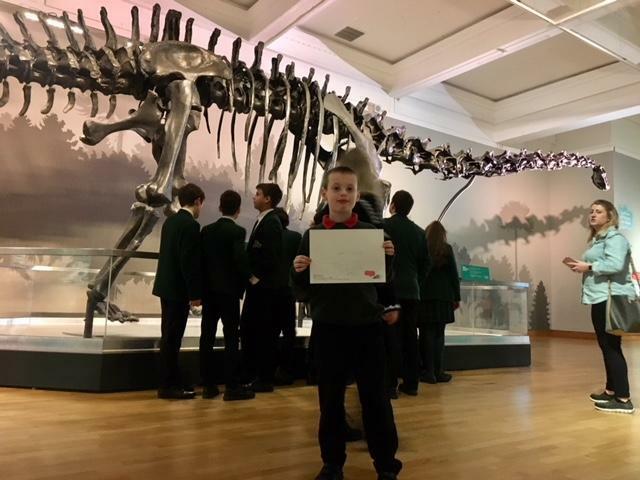 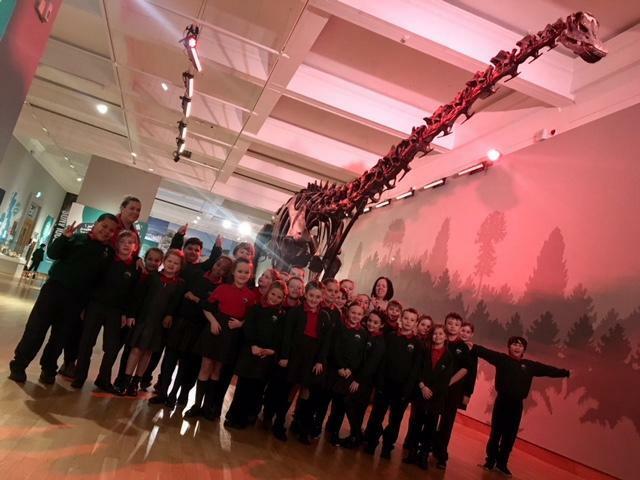 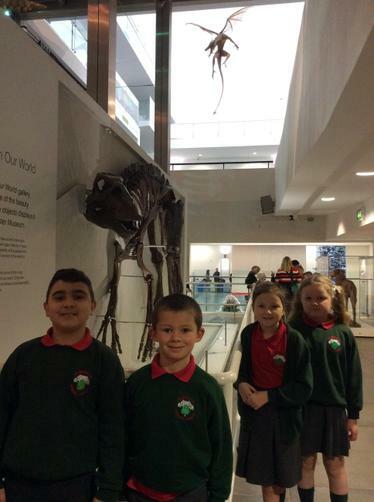 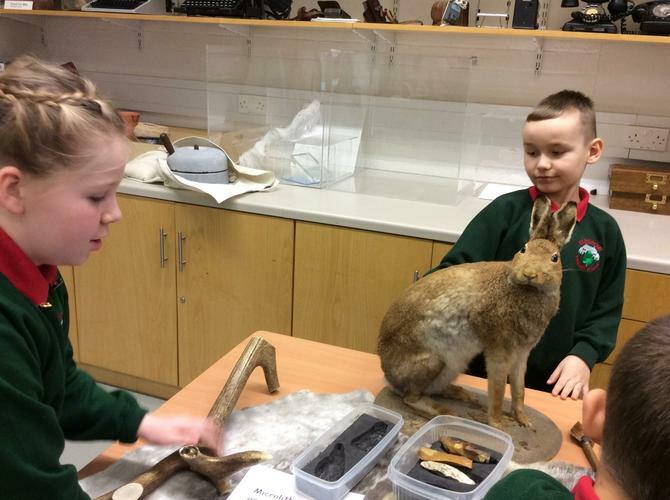 On Wednesday 12th Decmber, Primary 5 enjoyed a trip to the Ulster Museum. 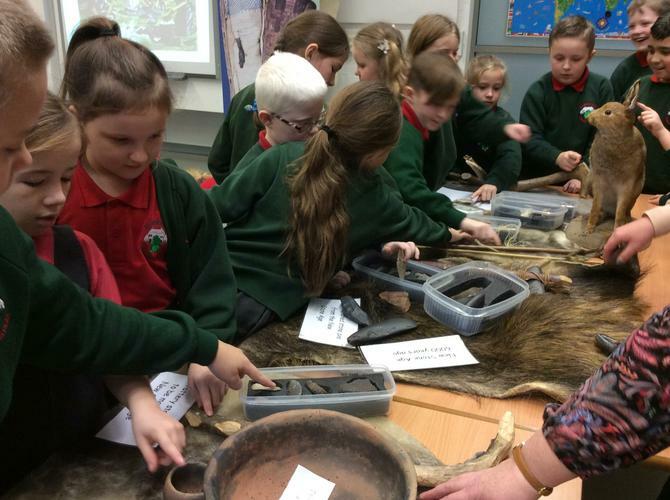 We were able to share our understanding of Early Man with the members of staff during our workshop. 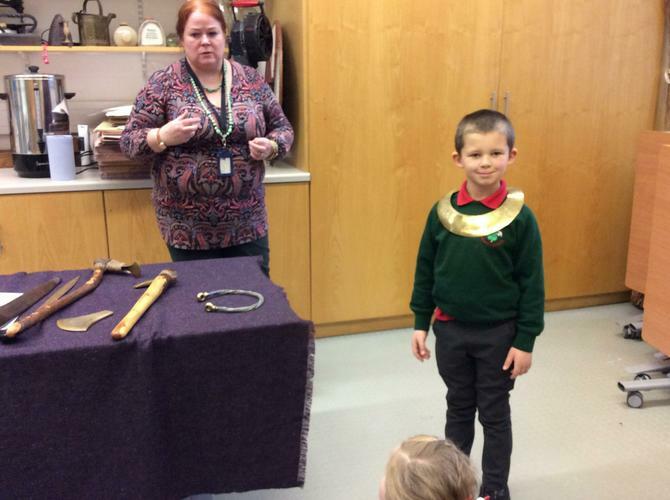 We saw artefacts, tools and weapons used in the Stone Age and some of use were lucky to try on some jewellery from the Bronze Age. 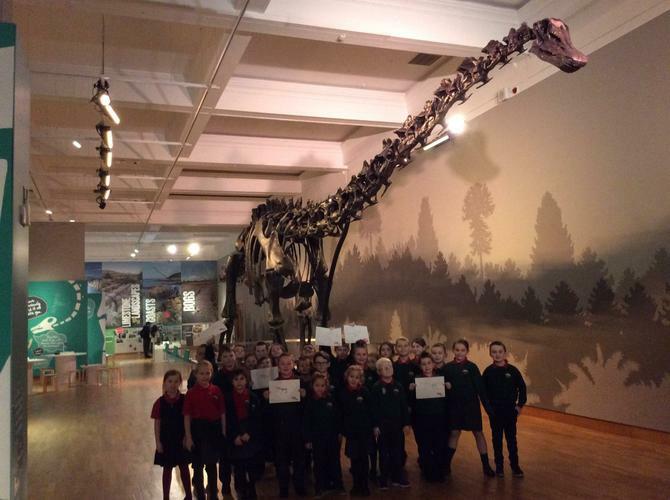 There was an enormous, very special visitor at the museum too! 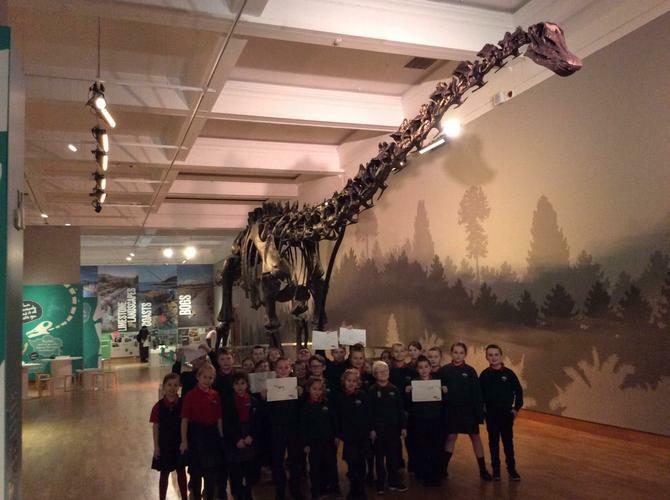 We met Dippy the Diplodocus and some of use drew fantastic pictures of him.